Like Friedman's other books on US warship design, his description of the play between evolving doctrine, organizational imperatives and technical issues to arrive at each class of submarine gives the reader insight not just in what a ship became but also why a ship became. Friedman's book hits just the right level of technical detail. This is not a buff book. 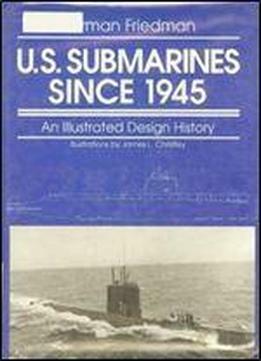 It is a serious effort to document the design evolution of (mostly) nuclear submarines.